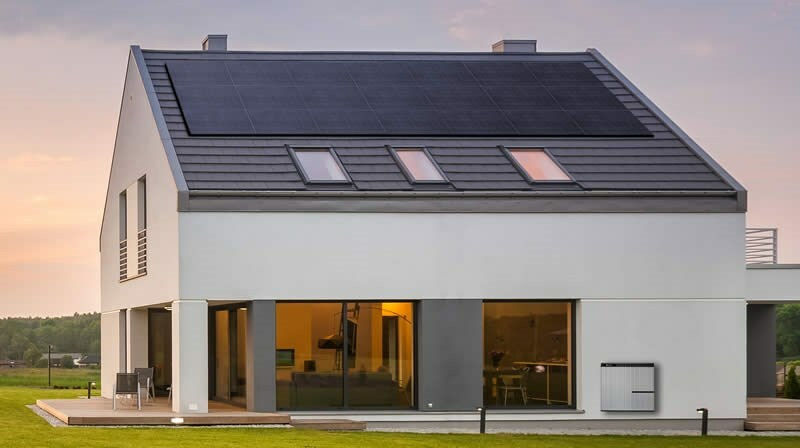 Being California's renewable energy leader, SolarMax Technology is the only solar company to pioneer energy storage by developing in 2016 the first fully-integrated home battery back-up system helping its customers stay powered for when the grid goes down. Future-proof yourself against utility rate increases. Get home battery backup protection from the upcoming utility announced blackouts during wildfire season. Store the solar energy you produce during the day and use it during the higher peak rates at night. For a limited time, SolarMax is combining federal and state incentives to get you a premium solar panel system with a LG home battery at the low price of just $129 a month. Plus you get a rebate check up to $2,450 after your system is installed! 15 SMX Solar Panels - Rated one of the most reliable panels in the world, they are designed, engineered and assembled in our California headquarters. LG Home Battery - Premium brand with a 10 kWh capacity for dual purpose: battery backup and utility Time of Use mitigation. SolarEdge Inverter - The #1 high-efficiency inverter brand in the US with up to a 25 year warranty. Ultra-low monthly payments with a 20 year term at 4.99% APR financing. We apply your 30% federal tax credit today to lower your payments. With installation of the LG home battery you can apply for the California Self-Generation Incentive Program (SGIP). After approval and your system is installed, you'll receive a rebate check of up to $2,450! Terms and Conditions: The $129/mo “Utility Proof” Solar Energy and LG Home Battery System offer includes 15 SMX 265 Watt solar panels with an LG Chem RESU10 home battery. All financing is available on approved credit. Financing for this offer is through LoanPal with a 20 year term at 4.99% APR. A payment within 13 months equal to the 30% federal renewable energy tax credit (ITC) is applied to the amount financed. Offer valid on contracts signed between 4/1/2019 to 4/30/2019 and only in areas that SolarMax Technology services. Cannot be combined with any other offer. The California Self Generation Incentive Program (SGIP) rebate is approximated based on the published program details (http://www.cpuc.ca.gov/sgip/). Customers must apply on their own for SGIP and the actual amount of the rebate check may vary.